"Thank you for a wonderful magazine, my daughter looks forward to receiving it every quarter with great excitement." 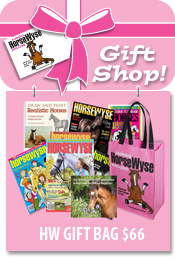 "So Happy to find a magazine suitable for our 8 year old, horse 'crazy' grand daughter!" 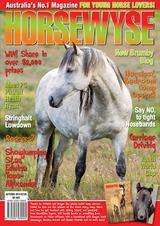 HorseWyse Magazine is published four times a year in Autumn, Winter, Spring and Summer. Each issue features articles, funstuff activities, Totally Horses Club, competitions, funny photos, reader letters and photos, Hall of Fame, Superstars, 'how to' columns, super sized POSTERS, horsing around and more. We're a proudly independent Australian owned, family business with a strong focus on young rider education, safety and FUN! 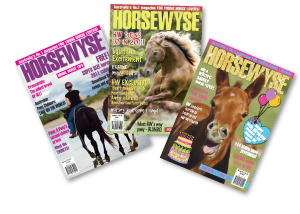 HorseWyse Magazine was first published in June 2001 and circulation has increased from 9,000 to 15,000, available through Horseland Stores, newsagents and selected bookshops Australia-wide, or by subscription ($30 for four issues). Although mainly aimed at teena and tween aged horse-lovers, we've become popular with older horse-owners with our instructional articles including trainer, Carlos Tabernaberri, and general horsey entertainment as we don't do any traditional horse event coverage. Distributed by: Integrated Publication Solutions. This is our biggest problem! We need high resolution photos to include in print. This means one taken on the highest file setting on your digital camera. 72dpi photos are fine for web pages but these come out pixelated in print, so we can't use them. We prefer digital photos emailed to us as these are the best quality. If you want to send a photo in the mail, have it printed out on photographic paper. We can't use photos printed on inkjet or laser printers as they don't reproduce very well. Photos should be large, well framed (ie: horse and rider filling the frame and not a dot in the distance), in focus (we can't use blurry photos) and well contrasted (we can't use photos that are too dark). We also can't use photos taken by professional photographers without their written permission. Click here for full details plus photo examples. For your horse to be one of HW's Superstars, write a brief paragraph about why you think your horse is a Superstar and email your story and photo (emailed digital photos preferred, see above for photo requirements) to superstars@horsewyse.com.au. If your photo is unsuitable, we'll let you know. Superstars is also very popular, so there may be a wait until you find yourself in a printed copy of HorseWyse Magazine. All published horses receive a gold Superstar rosette....please include your name and address when entering. We now have email penfriends in each issue. If you'd like to submit a letter to be printed, email a brief description of your interests etc. to penfriends@horsewyse.com.au. You MUST have permission from a parent or guardian that they know and agree you are submitting your email address for publication. When corresponding with new penfriends, never give out personal details such as your address, and if you get any nasty replies, forward them on to us immediately so we can start an investigation. NOTE: This is a very popular section so there will be a delay before your request appears in print. We're always on the lookout for good stories and don't have many on file at the moment so send yours in! Keep stories to around 1,000 words (give or take 500!) and some good photos would help. Email your stories and photos to mail@horsewyse.com.au. We're always on the lookout for nice photos to go on our reader photo pages, The Paddock and Hay Shed. You don't need to send a horse photo, one of you and your friends and even a pet is just fine! We totally understand not everyone owns a horse. Email your photos to photos@horsewyse.com.au. Got something to say? Write us a letter! You can email it to mail@horsewyse.com.au or send it by snail mail. Keep it fairly brief if possible. Photos welcome! NOTE: Check the competition closing dates...we always get a lot of entries after the closing date which means we can't include them for judging. All content in HorseWyse is subject to copyright but we usually don't mind it being used elsewhere provided you ask permission first and acknowledgement to HorseWyse is made. Some things we can't give permission for, eg: photos or articles submitted by outside contributors. Please don't submit our activities to other publications. 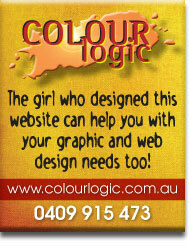 We'd like to help but don't have time to provide info for individual school projects or assignments. Using Google and doing your own research is best for this! 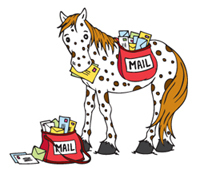 We are also unable to provide email advice for individual horse problems unless we think it's extremely urgent! While we like to help wherever possible, again we just don't have time to respond with long-term solutions. If in doubt, talk to an instructor, horse trainer or your nearest Pony Club or if you're really desperate, you can phone our office.